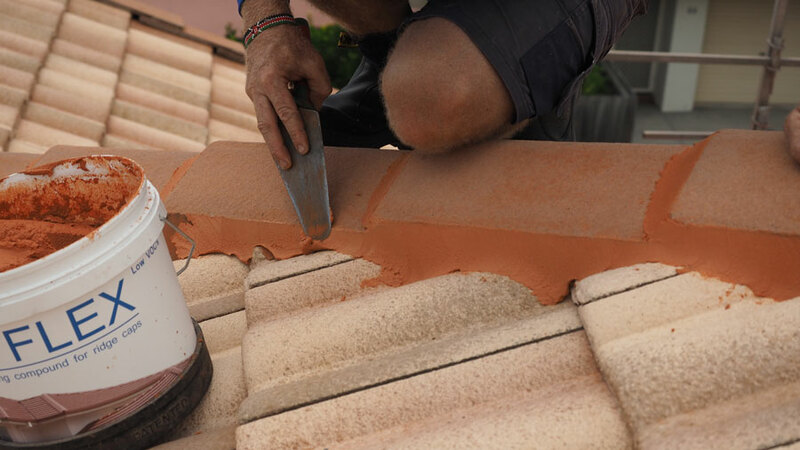 Roof Restoration is the way toward fixing an old or harmed rooftop and making it new once more. Rooftop Restoration gives you an option in contrast to a full rooftop substitution. All in all, a rooftop rebuilding is a more financially savvy route for you to fortify your rooftop following quite a while of utilization. It can be possible for either practical or restorative purposes. When you reestablish a rooftop, you are making an interest in your home from different points of view. Over the years many things can go wrong on your roof. It cops the full force of the weather, many tradesmen, fallen trees and possums, and other animals can damage what was a great roof. We can help with emergency roofing services to fix leaks and get your roof watertight in no time. At CPR Gutter Protection, we know that roof repairs and restorations require careful planning and a targeted approach. Our extensive experience and time in the industry has allowed us to refine our restoration process. We recognise that the quality of the job is centred on attention to detail and workmanship. That is why we have a stringent quality control process. 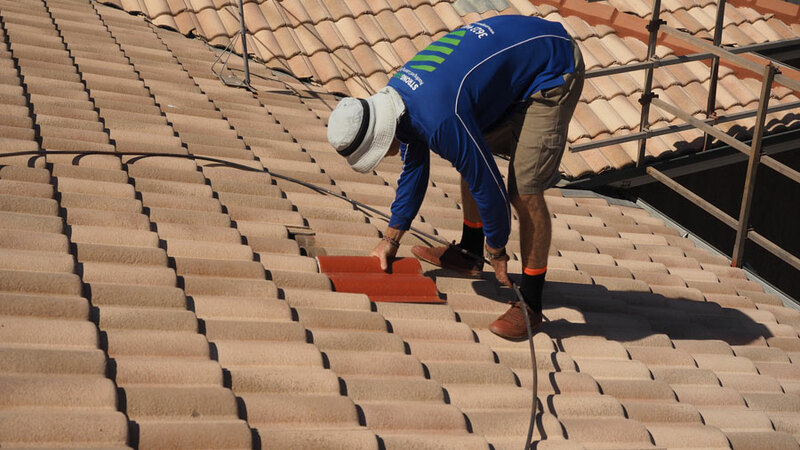 You can rest assured that your roof restoration will be of a high quality. 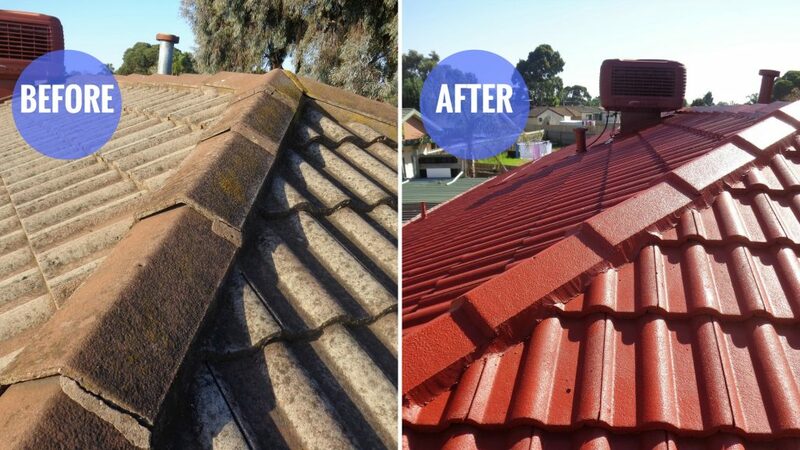 The first and arguably most important step of any Melbourne roof restoration is repairing damage. Repairing damaged tiles, flashings, clips and valleys allows us to ensure the best quality finish and also prevents future leaks. It is vital that these repairs are conducted well, as the following steps of the roof restoration process depend on your roof being in good condition. We check if any of the ridges on your roof need re-bedding. We will first remove the ridges and then clean the edge of these ridges of any excess bedding cement, including weepholes to allow the escape of any moisture. Once this is done, we lay down a new layer of bedding cement and the roof is ready for new capping to be installed. A flexible pointing product is used to seal the caps to the tiles, which allows movement of tiles and prevents cracking. Once your roof damage is repaired, we can prepare it for a new coating of paint and protective layers. 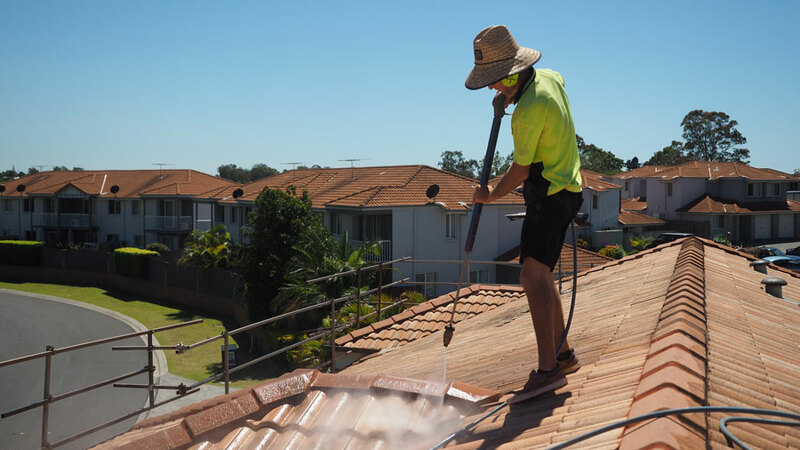 We like to prepare for this by pressure cleaning your roof. This step is important, as it removes built up grime, mould and mildew. Removing this build up requires a targeted approach and the right tools. We use a high intensity pressure cleaner, which creates water pressures of at least 3000psi. The high pressure ensures that no mould, mildew or grime remains. 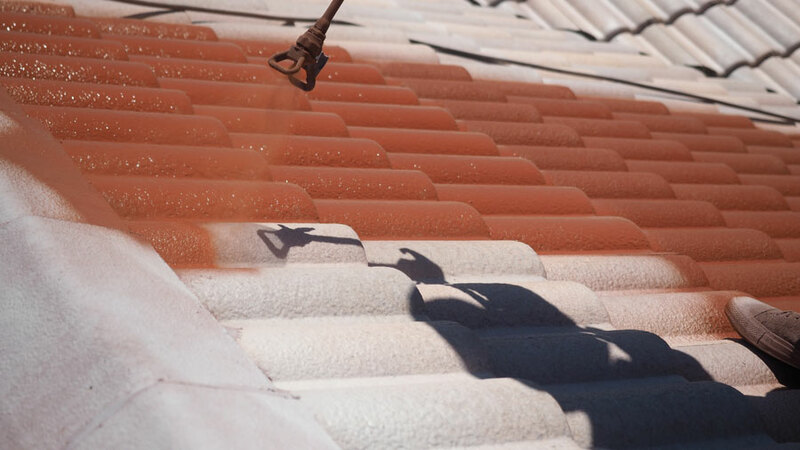 As a result, your roof will be spotless and ready to be coated. We will clean up the site after pressure blasting and also ensure all the wastewater is directed away from storm water outlets to avoid polluting waterways. The first layer that we apply is a fungi and mould inhibitor. This product is designed to prevent any mould or mildew from growing on your roof. 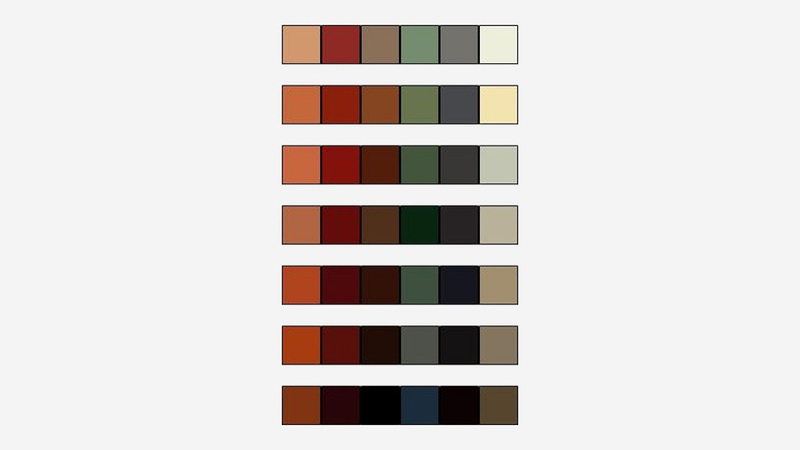 We then coat your roof with a primer or sealer, which primes the surface for the following layers. Finally, we apply two coats of roof membrane. These products offer an impeccable finish and they can be chosen to suit your personal preferences. We also mask off the walls and hand paint flashings to avoid overspray. At the conclusion of the process, your roof will be in better condition than ever before. We are passionate about Roofing, treating all roofs like our own. With over 20 Years Experience, CPR Roofing has been providing quality service and workmanship to home and business’s since 1997.